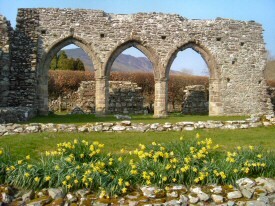 Vanner Cottages are located right next to the remains of Cymer Abbey, founded in 1198 by Maredudd ap Cynan for the Cistercian order. The Welsh Cycle Route runs through the farm and leads directly to the internationally renowned mountain bike centre at Coed y Brenin, a distance of five miles. The north end of the Mawddach trail which runs from Dolgellau to Barmouth is only a mile away. 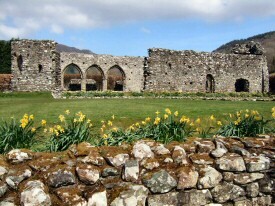 There are many and varied activities & attractions in and around the Dolgellau area in Snowdonia. Below is a small selection of what is on offer to you during your stay at Vanner Cottages.